In a bid to enhance its line of networking products and tools, SnapAV has partnered with a new affiliate, MetaGeek, and will sell the company’s expert wireless diagnostic and configuration software through their distribution channels. Eye P.A. by MetaGeek “MetaGeek is an industry leader in this space,” said Andras Balassy, product line manager of distributed products for SnapAV. He characterizes this deal as a strategic part of SnapAV’s distributed products initiative, meant to help custom integrators navigate the space between networking hardware and optimization software, while still offering the personalized service and support they’ve come to expect from SnapAV affiliates. SnapAV will offer four customized software packages: MetaGeek’s inSSIDer Office, which tracks basic wireless functions; Chanalyzer, which allows for off-site data reporting; Eye P.A., which lets integrators capture packets of information on the network; and TamoGraph PRO, which offers heat mapping and roaming capabilities. Since 2005, MetaGeek has been helping integrators visualize wireless networks and graph network activity in a straightforward way. Used in conjunction with SnapAV’s Araknis products, these software packages will work together, allowing custom installers to enhance wireless networks and improve overall network performance. 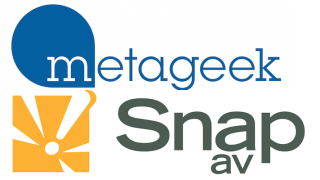 “MetaGeek has been a leading innovator in enterprise Wi-Fi diagnostics for over a decade, and we are excited to partner with SnapAV to make our products and expertise more accessible to professionals in the Custom AV industry,” said Chad Harbig, chief product officer for MetaGeek. Integrators can learn more about MetaGeek at http://www.metageek.com.